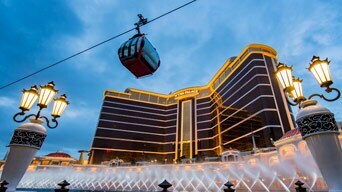 The SkyCab is the best way for tourists to enjoy a ride overlooking Cotai and the Performance Lake from 28m up. 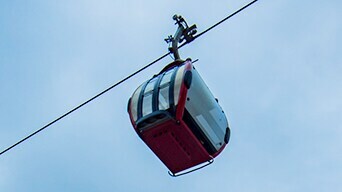 The SkyCab seats six guests per cab, moving clockwise around the lake. Majestic golden dragons “greet” the tourists with lighting effects as they pass the north and south sides of the lake while a custom-designed audio system describes the breathtaking vista, from the Performance Lake with its dancing fountains to the Cotai landscape beyond.